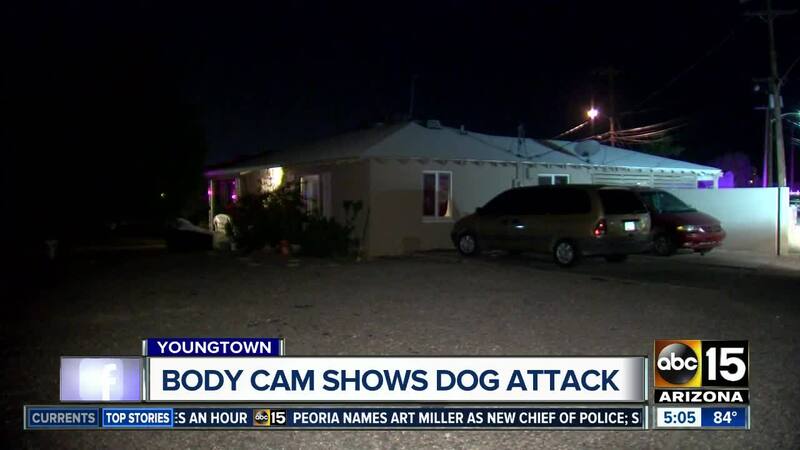 Authorities have released the body camera video from an incident where a Maricopa County deputy shot and killed a dog that got into a fight with his K9 partner. Deputies responded to a home near 112th and Peoria avenues around 9 p.m. on August 4 for a report of a disturbance. MCSO said deputies had responded to the home three times in the past 60 days for similar situations, and the day of the shooting law enforcement had been called earlier that night. K9 Tarzan and his handler went through an alley toward the back of the home to search for the suspects. 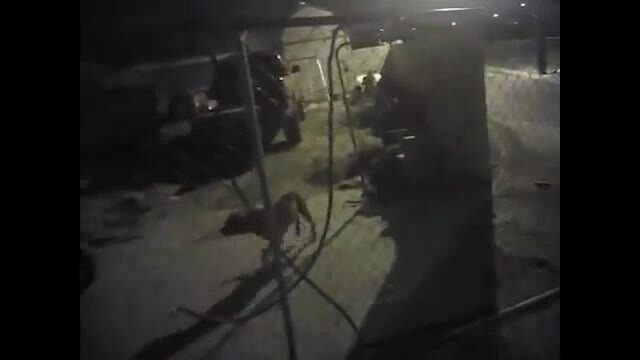 UPDATE: Body camera footage of attack on MCSO K9, Tarzan. The footage has been shortened to remove graphic content that may not be suitable for all audiences. A pit bull named Chevy came running out and got through an opening in the fence and began attacking K9 Tarzan. MCSO said Chevy injured Tarzan's chest before biting and locking onto his face. Attempts to separate the dogs and control them were not successful, and the deputy fired his weapon, killing Chevy. In a previous interview , Chevy's owner Suzette Klein, said she and her son got into an argument. Her son left through the back gate and did not close it. "I'm really stressed out right now, really -- it's upsetting," Klein said. "It was loud, and it was escalating." "My daughter was actually out there as the cop was shooting him. She had his back legs," Klein said. "I think that instead of erring on the side of caution they erred on the side of aggression and it caused a chaotic scene." “The use of force in any capacity is an unfortunate yet necessary element of our job. We strive to preserve life of all in our community to include our animal population, Maricopa County Sheriff Paul Penzone said in a statement Wednesday. “These circumstances are extremely dangerous and challenging. MCSO K-9 Tarzan is a member of our organization, no different than any deputy providing public safety in our community. Once his life was threatened and in jeopardy, lethal force was justifiable to stop the assault." An internal investigation into the shooting is ongoing, in accordance with standard practice regarding such incidents, MCSO said.